Published March 21, 2019 by admin. 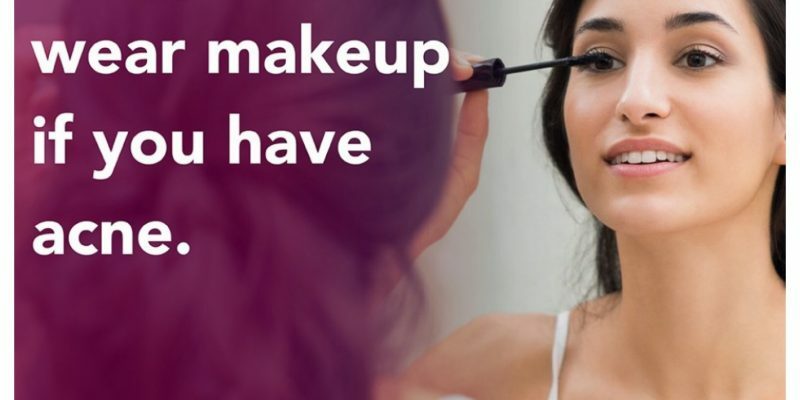 Yes, you can wear makeup, but you’ll want to choose it carefully. Some cosmetics can cause acne. When this happens, you develop a type of acne called acne cosmetica. 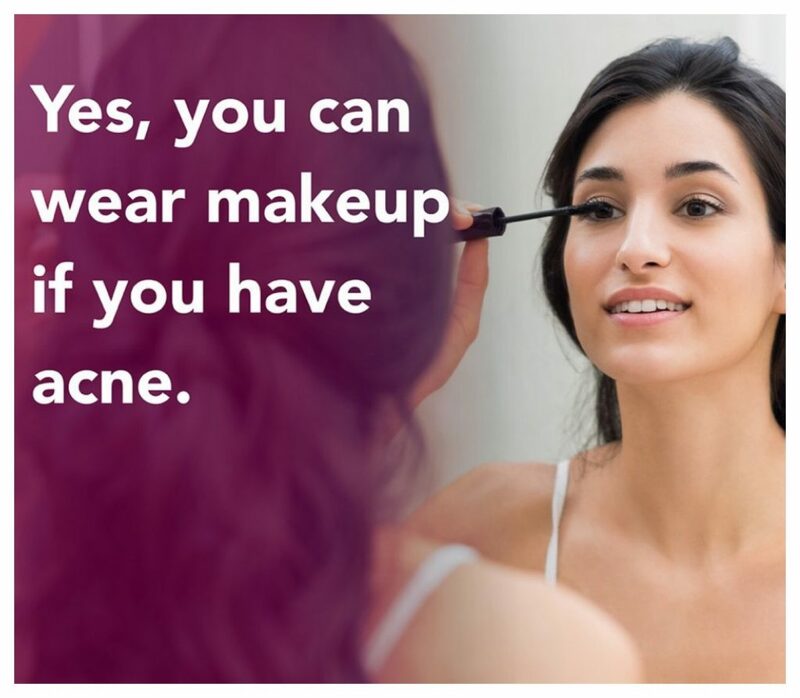 Even women who would not otherwise have acne can develop acne cosmetica from wearing makeup. If you have tiny breakouts around your lips, your lipstick or lip balm could be the culprit. Acne cosmetica can take time to appear. It can take anywhere from a few days to 6 months for blemishes to appear. This delay can make it difficult to see a connection between acne and the makeup causing it. As you see new blemishes, you may treat the acne and then cover it with acne-causing makeup. Continuing to use the makeup leads to a never-ending cycle of breakouts. Even when makeup causes your acne, you can still wear makeup and see clearer skin. You’ll have to use different makeup though. Need to use acne medication? Want to wear makeup? Apply the acne medication first. Choose your makeup carefully. You’ll want to immediately stop using all of the makeup that’s causing your breakouts. Of course, it can be hard to tell what’s causing your acne. Wash your face twice a day with a mild cleanser — and after you finish any activity that makes you sweat.Dermatologists recommend that you wash your face when you wake up and before you go to bed. Before using your cleanser, look for the words “oil-free”, “won’t clog pores,” or “non-comedogenic” on the packaging. If you don’t see any of these terms, look for a cleanser that contains one of these descriptions. Use your fingertips to gently wash and rinse your face. You want to gently apply your cleanser with your fingertips and gently rinse it off with lukewarm water. Don’t scrub — even to remove makeup. If you find that you still have makeup on your skin after washing your face, gently remove it with an oil-free makeup remover. After using a makeup remover, rinse it off. Apply makeup gently. Your touch should be feather light. You want to avoid irritating your skin. Makeup brushes can help you apply everything gently. Clean your makeup brushes every week and make sure you’re the only one who uses them. While acne isn’t contagious, acne-causing bacteria, dead skin cells, and oil from other people’s skin can stick to your makeup, makeup brushes, and applicators. When you use shared makeup and tools, those acne-causing culprits can spread to your skin, leading to new breakouts. When you share makeup, brushes, or applicators, you can also get contagious diseases, such as pink eye or cold sores. Treat your acne. Acne cosmetica will often clear when you stop using the makeup and hair and skin care products that clog your pores. 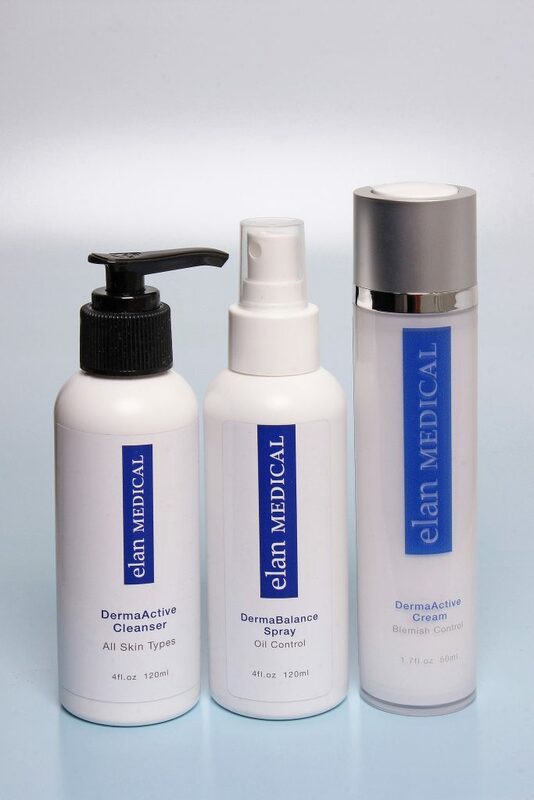 Why visit Elan Medical Skin Clinic?